This is a Watery Wednesday entry. It was raining like crazy today. this statue's lucky, somebody cares. 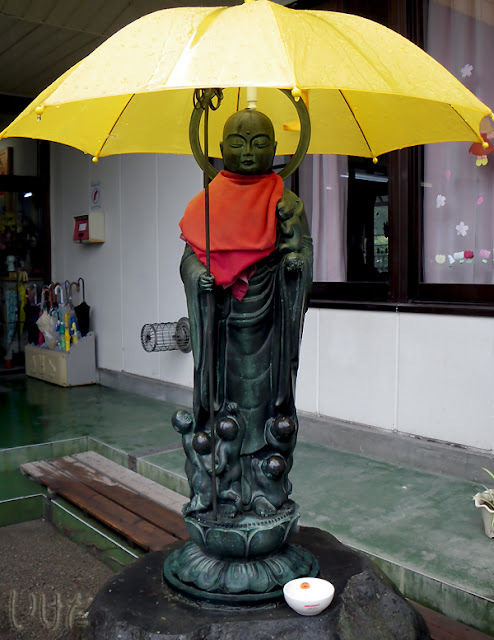 what a very sweet photo of your buddha, and funny too! Being a mad lover of rain, would have loved to be there, as over here it hasn't been raining for over two months now. Is the umbrella part of the decor, or just during the rain? Thank you all for your comments. No , the umbrella is not part of the everyday decor, just when it's raining.